For our final night in England before we headed North to Scotland, we decided to stay in York. York is an amazing city full of history. It was originally founded by the Romans in 71 AD and at one point it was ruled by Vikings. 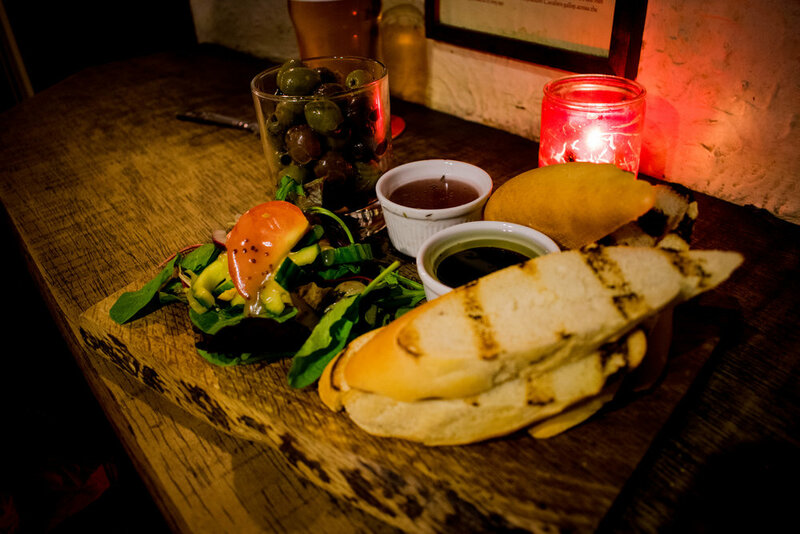 There are so many things to see in York and the city is small enough, that it's easily walkable. We checked in at the B&B and then spent the evening walking and exploring this beautiful walled city! Here are my suggestions for a quick walking tour of York! The York Minster is a gorgeous gothic style abbey in the heart of York. This was our first stop on our evening walking tour of York and I was so happy we were able to see this church while we still had some daylight left. The Abbey was closed so we didn't get to see inside, but we were able to admire it from the outside. If you're staying in York for a few days, then I would absolutely recommend taking a tour! For $15 you can tour the Minster and climb the tower. They also offer "Hidden Tours" on some days where you can see parts of the Minster that are usually closed to the public - check the York Minster website for more info on the Hidden Tours before you visit! One of the first things I knew we had to see when we were in York was the Shambles. If you're a fan of Harry Potter, then the Shambles are an absolute must see! 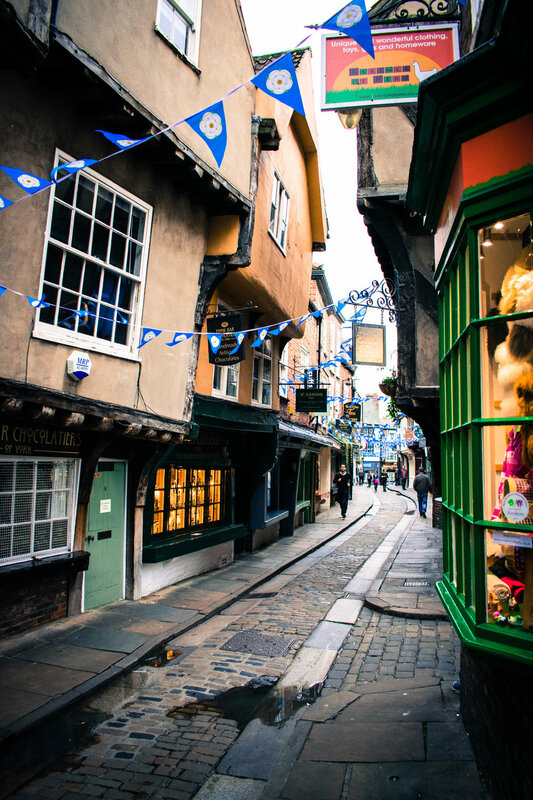 The Shambles are the real-life version of Diagon Alley, with adorable shops and overhanging timber-framed buildings. 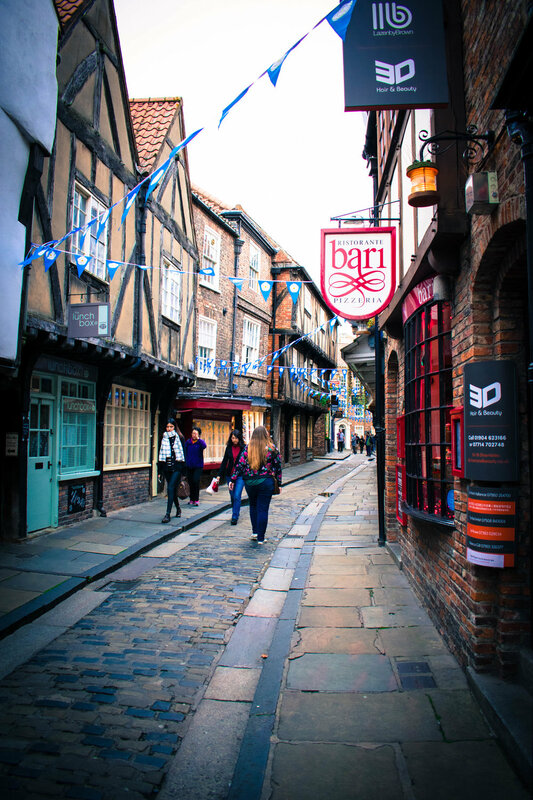 When you're walking through the Shambles, you can just feel the magic in the air. After the Shambles we were ready for some beer and some dinner and headed to the Golden Fleece - thanks to the recommendation from the owner of Hawkins of Bath! 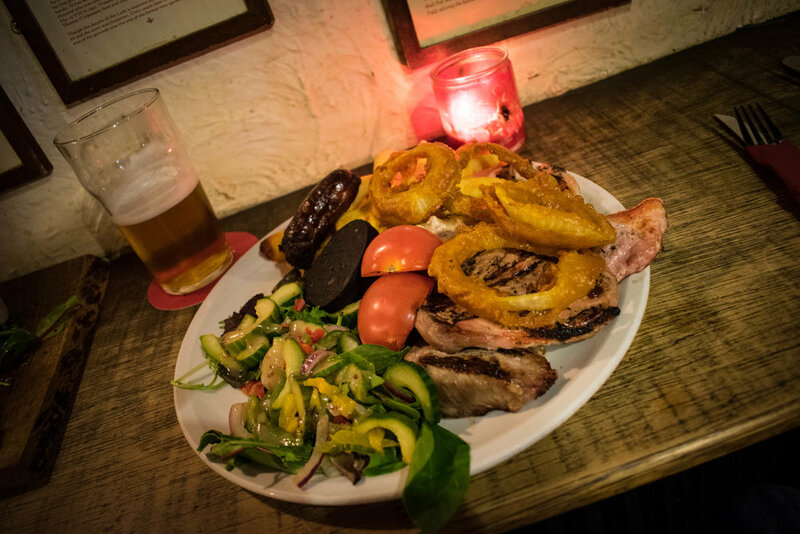 The Golden Fleece is supposedly the most haunted bar in York. We didn't see any ghosts while we were there, but the pub has a great Old Pub kind of vibe! The food was very hearty and delicious - perfect after a long day of driving and exploring. Comfort food to the max!